Anyone who follows Israeli politics knows that the platform differences between incumbent PM Netanyahu and his challenger Benny Gantz are minute. Both support staying on the Golan Heights, keeping the undivided Jerusalem as Israel’s capital, and keeping Israeli control over the large Israeli towns in Judea and Samaria. Both would change many of these positions had there been a real partner for real peace on the other side. On the economy as well, Gantz does not favor going back to the high taxing, high spending, high inflation 1980’s. He well-knows that Israel’s thriving private sector, which is the envy of the world, is essential to Israel’s very survival and would not do anything to put it in danger. Additionally, in the unlikely event that Gantz wins the majority of the seats in the new Knesset and the even less likely event that he could cobble together a governing coalition, he would have to bring aboard right-wing and religious parties that would certainly stop him from any reckless concessions to the Arabs or engaging in economic tomfoolery. No, Gantz’s platform, his pitch to the voters, does not go through any policy positions. Rather, it seeks to paint Netanyahu as Mr. Dirty and himself as Mr. Clean. Make Netanyahu look as the embodiment of the incestuous relationship between big money and politics that has plagued Israel for decades and himself as the antidote to it. And this is precisely where Gantz’s already listing boat hit today the mother of all icebergs. Israel’s Inspector General has just reported that Gantz’s defunct technology startup the Fifth Dimension got preferential treatment in its bid to supply certain hi-tech equipment to the Israeli police force. According to the IG, procedures were flouted, normal tender rules were set aside, preferential access granted, etc. 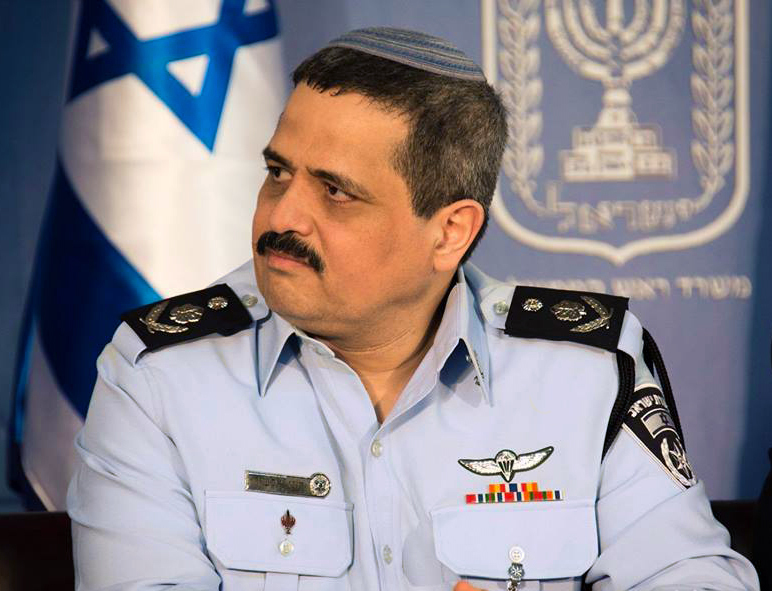 All of this was done by the last Police Commissioner Roni Alsheikh, who is known as a Netanyahu foe and whose tenure as the chief law enforcement officer in the land has not been generally well-received. Netanyahu’s Likud party has already called for a criminal probe to be initiated into Gantz’s role in this affair, but whether that happens or not in the brief time that is left before the April 9th election is immaterial. What matters is that Benny Gantz’s carefully cultivated blue-eyed Mr. Clean image, an image that has never had any basis in reality, has now been tarnished forever and without it he is just another power-hungry ex-general, a rather low value-add commodity in the Israeli political marketplace. Today’s public opinion polls, all taken before the news broke, do not give Mr. Gantz reason for hope either. While they show quite a bit of volatility due to the four-seat minimum in the Knesset and the uncertainty which of the smaller right-wing or left-wing parties will clear it and which will not, the range of the results has been stable for a while. It shows the Likud and its challenger Blue and White anywhere between 28 and 32 seats, with the bloc picture showing between 62 and 68 seats for the center-right and 52 to 58 (including Arabs) to the center-left. While Netanyahu’s personal popularity has taken a hit lately due to the events in Gaza and his favorability rating is stuck in the mid-30’s, he enjoys broader support (around 80%) among his own party voters and even more importantly leads Gantz by double digits in the “fitness to be PM” polls. Predictions in politics and especially Israeli politics are always dangerous in the extreme, but if the corruption scandal now surrounding Gantz proves to have legs and the polls hold, the Blue and White party with its feckless and weak messaging and incessant internecine warfare among egomaniacal ex-generals will surely enter the annals of Israeli political life as one of the shortest lived and most abortive attempts at leadership ever recorded.